Bromeliads are unique, one-bloom plants that are very exotic in appearance. They are very easy to maintain and will do well in almost any lighting conditions. The bloom will last for several weeks. 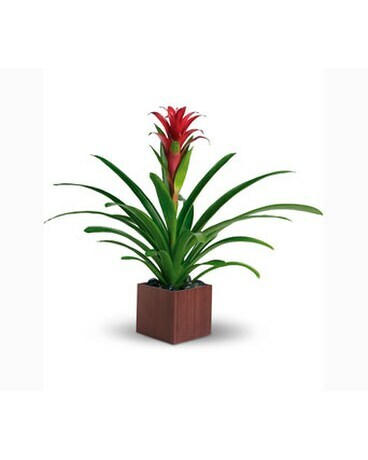 Bromeliads come in a variety of colors: red, yellow, orange, purple, white, and shades of pink We will pick the most beautiful color from what is available for your order. If you want a specific color, please give us a call!